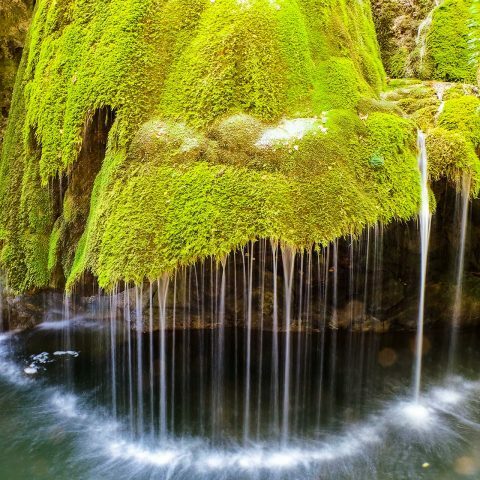 Romania is one of the tourist destinations that gain more and more appreciation in the world and in terms of authentic experiences that tourists can enjoy. Because the year 2019 announces to be a special one for Romania, especially due to the fact that Sibiu was named European Gastronomic Region, we recommend you 10 cool experiences that you shouldn’t miss this year. The Balea Ice Hotel has become one of the most popular winter attractions in Romania for more than a decade. In an enchanting atmosphere, near the Fagaras Mountains, a night spent at Balea Ice Hotel can be compared to a trip into a true Winter Wonderland. Every year, the hotel is built of massive ice blocks, extracted from the Balea Lake and carved with craftsmanship to form the rooms of this unique hotel. Also, each year proposes a different theme, and the theme of this year is Frozen Love. 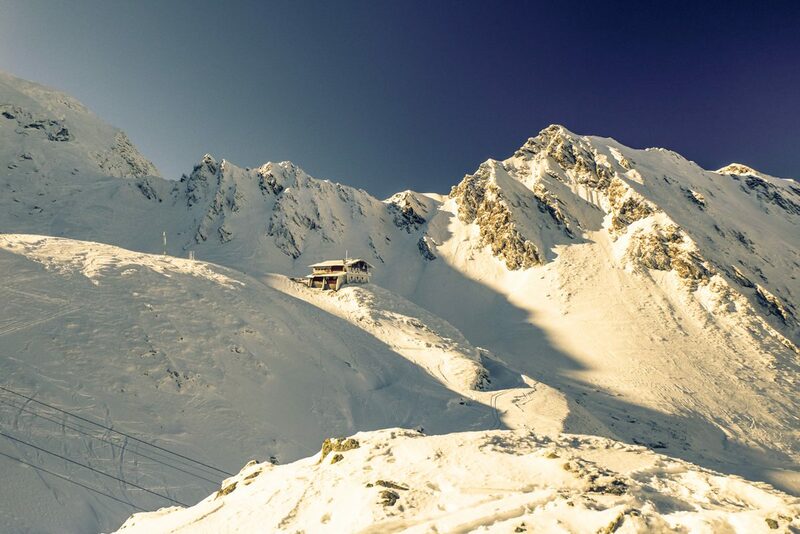 So if you are not afraid of the low temperatures and want to see how it is to sleep a night at this hotel, you should make the most of the winter season because the hotel is open only during this time. Sure, you probably wouldn’t pinpoint a cemetery as a tourist attraction, but the Merry Cemetery from Sapanta, a village in the Maramures region is very different from what you would expect to see in regular cemeteries. 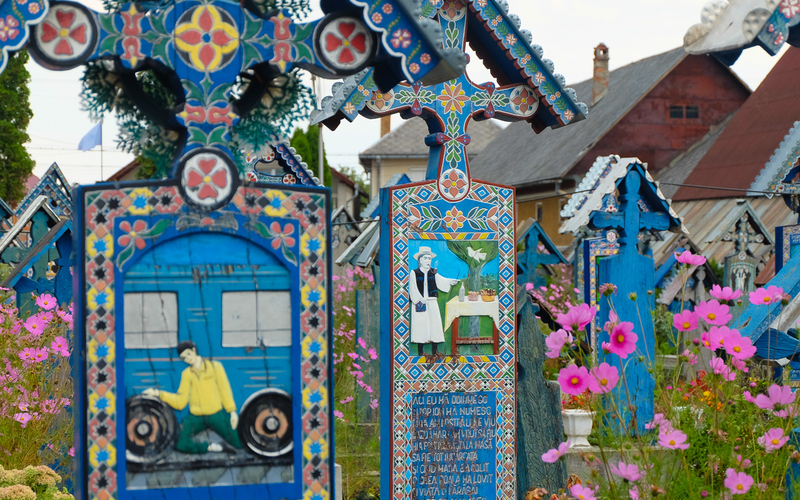 The tradition of making colorful wooden crosses, with humorous epitaphs was started by a local traditional artist, Stan Ioan Patras, who wanted to show a different way of experiencing the loss of a loved one, by honoring their memory in a lighthearted manner. The epitaphs reveal details of the lives of those who passed away in a humorous manner, without being disrespectful. The Merry Cemetery has become somewhat of an open-air museum of traditional art exhibited through the bright-blue crosses and their paintings and if you want to visit it, you should know that there’s an entrance fee, just like in a regular museum. 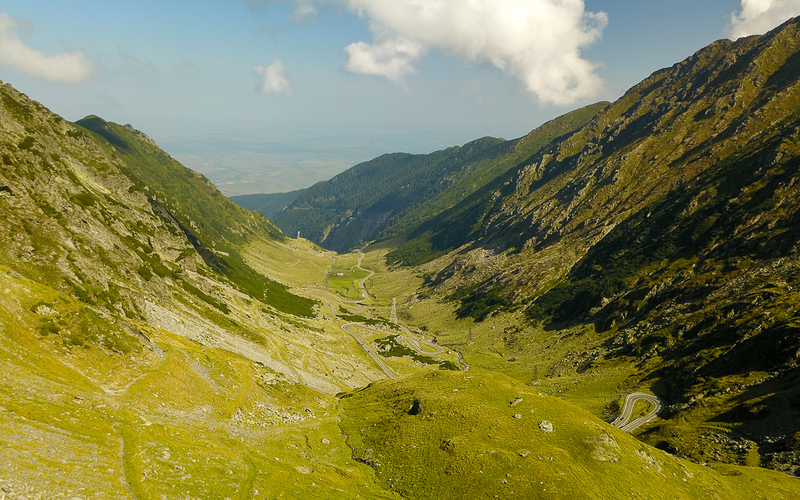 The tallest mountains in the Romanian Carpathians, the Fagaras Mountains impress through their beautiful landscapes and the diversity of the relief, its fauna, and flora. The beauty of the natural landscape in the area was highlighted in various travel documentaries, including the Wild Carpathia series created by Charlie Ottley. The hiking trails present various levels of difficulty, so they are suitable for both advanced and inexperienced hikers, under the condition that you shouldn’t start your hiking adventure without the assistance of a professional guide. 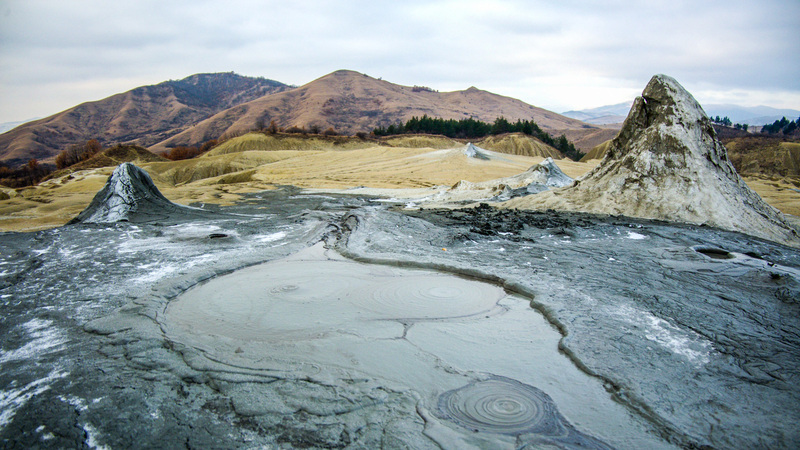 Mother Nature has endowed the hills and mountains of the Carpathians with unique wonders, and the Mud Volcanoes in Buzau County are perhaps the most eloquent example. Globally, there are about a thousand such phenomena, but they are very rare in Europe. Romania, through its natural reserve in Buzau, boasts the only miniature mud volcanoes in Europe. 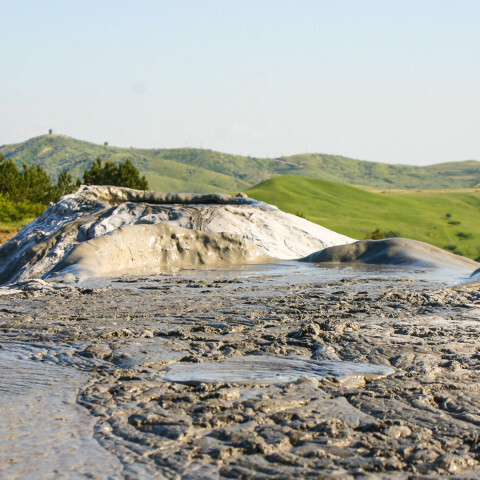 The mud volcanoes are conical mounds, like top-hop funnels, which form at the surface of the earth through the eruption of natural gas that cuts its way from depths of about 3,000 meters to the surface of the earth through a layer of clayey soil, in combination with groundwater. The eruption of such a volcano forms the cones at the surface and create a landscape which may have compared to what the surface of the Moon must look like. 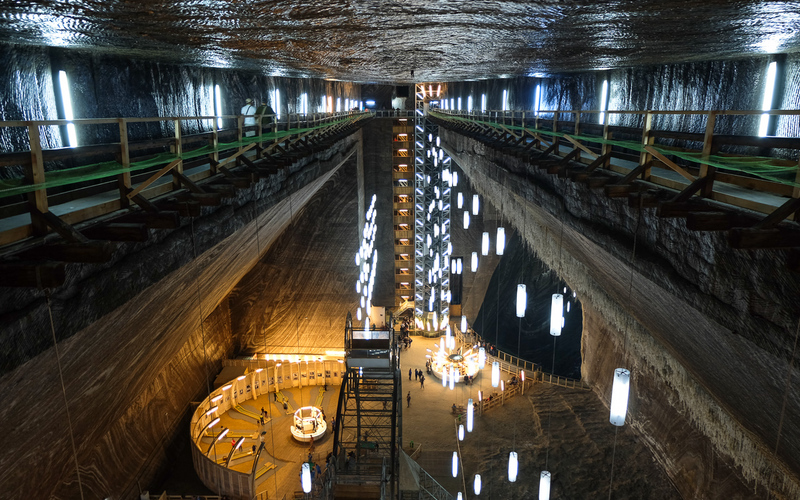 The Turda Salt Mine wasn’t used for salt extractions since a long time, but the mine has become something else, due to various improvements that were made. 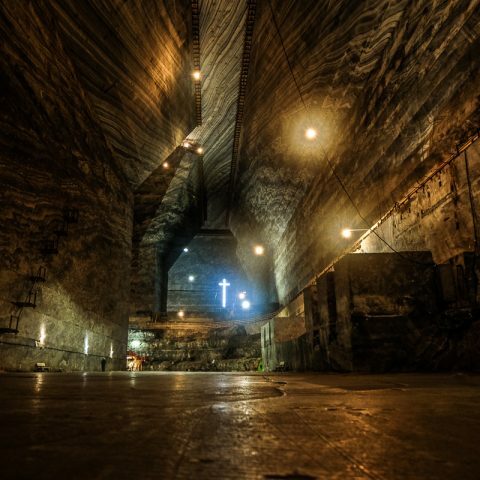 Today, the salt mine is one of the most interesting amusement parks that can be found underground, with plenty of attractions. Designed today as an unusual museum of salt mining history, the salt mine dates back to the 17th century. It’s considered a historical monument, due to the harmonious blending between the natural salty environment of the mine and the minimalist and modern design elements that create a unique atmosphere. Let’s be honest, what better place to spend Halloween than in the famous castle of the infamous Dracula? 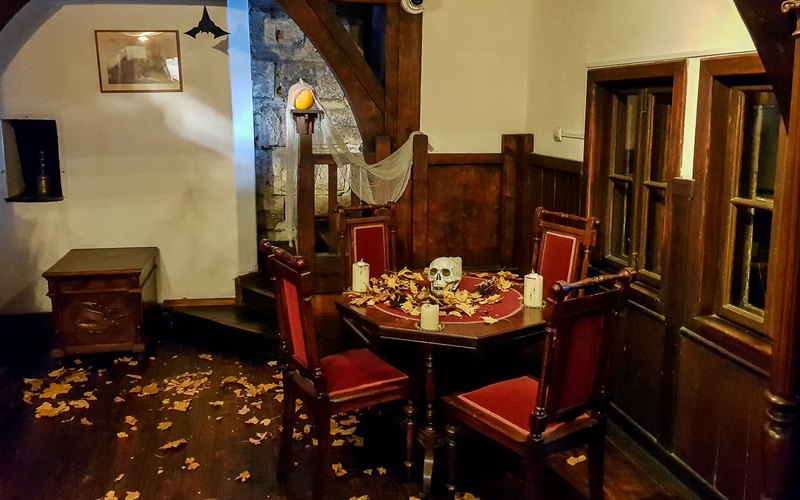 Although there aren’t that many connections between Bran Castle and Vlad Tepes – the real Dracula – the castle does capitalize on its fame and attracts thousands of tourists each year. So, if you don’t mind the somewhat cheesy representation of blood-sucking vampires, visiting the castle can be a rather interesting experience if you take the time to admire the architectural details and the medieval items displayed between its walls. According to official records, the first pharmacy in Romania was opened in the city of Sibiu, all the way back in 1494. The building where the museum is located today is not the original space, but it belonged to an old pharmacy, considered the third oldest in Romania, in the mid-1500s. It was called The Black Bear and dates back to 1568. The oldest object in the museum is a bronze mortar dating from 1597. 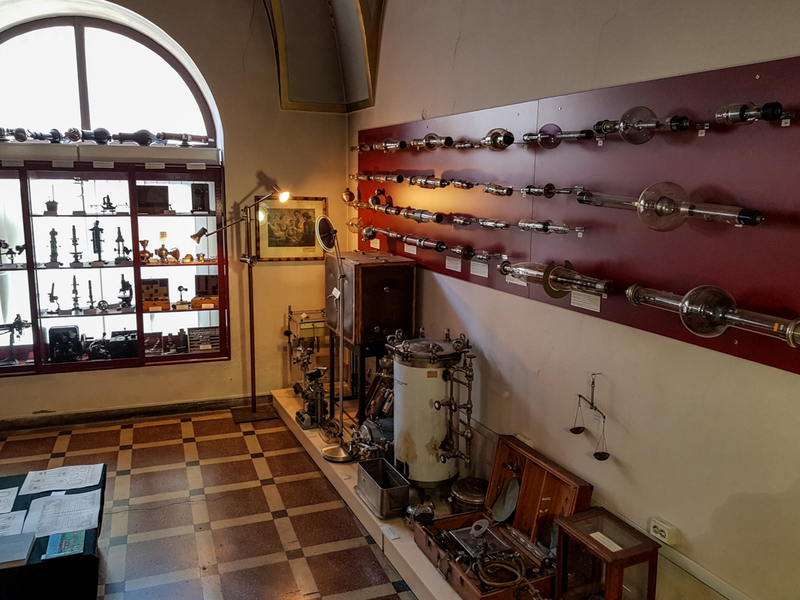 It’s just one of the thousands of objects and potions – over 6,600 in number – from the small museum located in Sibiu’s Small Square, the one that inherits the first pharmacy in Romania. Like in many other places, there were also alchemists in Sibiu: you will find alchemical symbols on some of the labels of the bottles. And if the label is written in black and white, you know that there was a very toxic, dangerous substance in that bottle. The craftsmen in the Marginea Village are famous for their ceramics for centuries because it’s made through a unique process that gives ceramic items their characteristic black color. It’s a traditional craft that has been preserved only by a few craftsmen and it was passed down from father to son. To this day, the men are those who are responsible with making of the ceramics, while the women are in charge with decorating them with traditional motifs. This is just one example of traditional occupations that are still preserved in some of the rural areas in Romania, and that are contributing to its authentic charm that gives you the feeling you went back in time to a place where people didn’t forget how to work with natural resources in a mindfully. Due to the favorable climate conditions, Romania was well-known in the past for its wines. 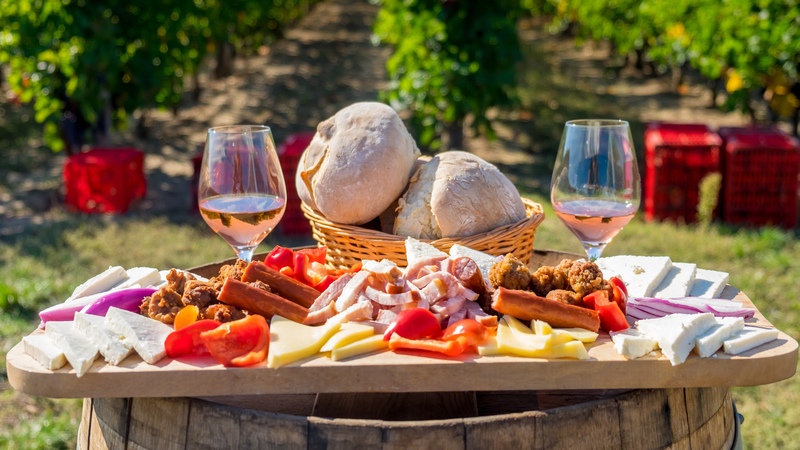 Luckily, Romanian wines have made a comeback over the last years, and you can now visit several vineyards, and have a taste of the fine wines made using a mix of traditional methods and latest technology equipment. For example, you can’t go wrong with a wine tasting in the Dealu Mare region. The existence of vineyards on this territory is confirmed by the archaeological excavations, ceramic remains, and toponyms that prove the presence of vineyards in the oldest times. The first written documents about the existence of vineyard culture in this part of the country date back to the 14th and 15th centuries. Over time, vineyard culture has become a tradition passed down from generation to generation, being part of the lifestyle of many inhabitants of this area. 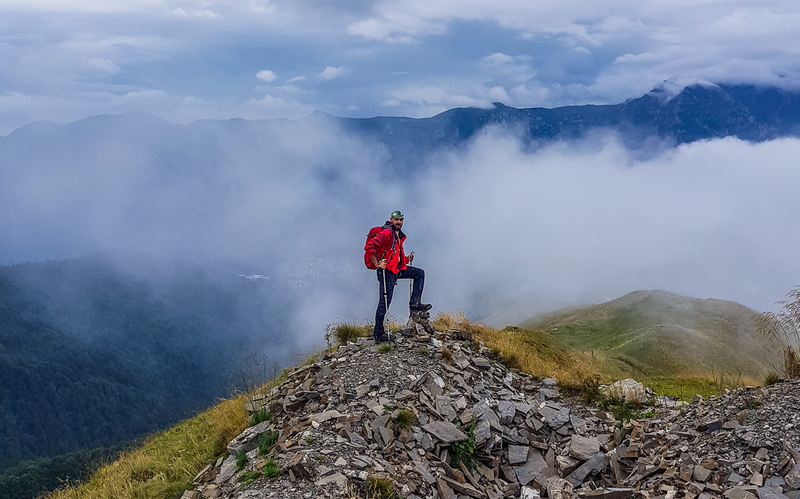 The Baiu Mountains area is one of the lesser known places in the Romanian Carpathian Mountains, but this is an important advantage if you enjoy hiking on the off-beaten path. The hiking trail is accessible even for those who don’t have extensive experience in the mountains. Baiului area is a mountain complex in the western part of the Curbura Carpathians in Romania, between the Prahova Valley to the west and the Doftana Valley to the east. The average height of these mountains is about 1,100 m. Only the main peaks exceed 1,600 m. This mountain sector is crossed by a dense network of rivers, which are collected by two major hydrographic arteries: Prahova and Doftana. Bonus – you’re not far away from the Prahova Valley region and from Sinaia, where you can also visit the Peles Castle. What other cool things to experience in Romania do you recommend? Check our Romania guided tours, to visit the places you want, accompanied by an experienced guide eager to help you plan your perfect trip! Transylvania biking tour combines two wonderful biking trails. Bike with your personal guide at the foothills of Carpathians and experience the cultural heritage of Transylvanian Villages. During this biking tour you will discover beautiful countryside, meet welcoming farmers, and learn about old crafts. 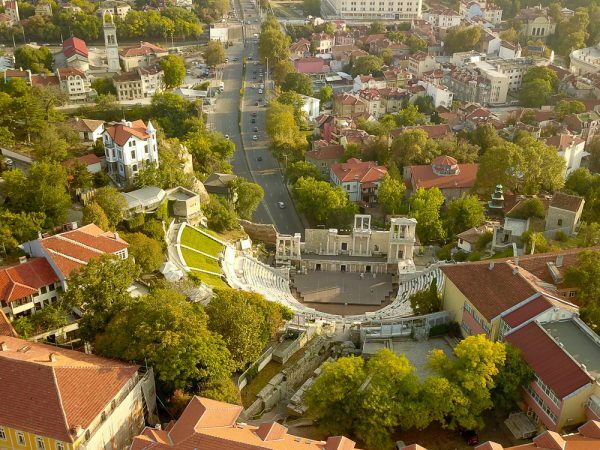 This amazing Eastern Europe Tour starts from Sofia-Bulgaria and ends after 10 wonderful days in Bucharest the capital of Romania. 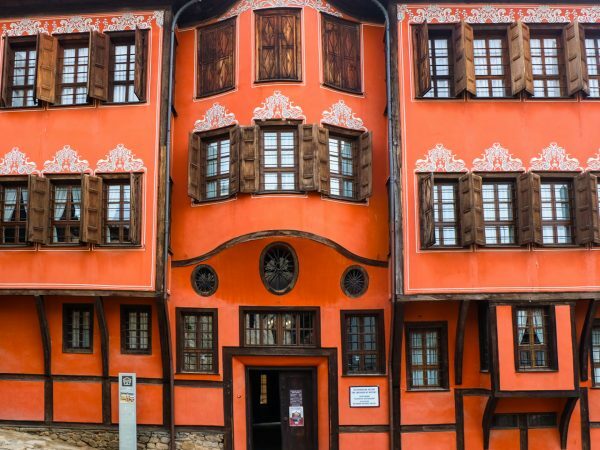 Romania and Bulgaria Tour is a unique blend of experiences, mixing the cultural sightseeing tour of the ancient medieval towns or villages, with the breath-taking mountain scenery of Carpathian Mountains.